BOSTON — Deval Patrick, who is no longer considering running for president himself, sees a lot to like in Beto O’Rourke, the Texas lawmaker who is now weighing whether to run for the presidency in 2020. Patrick also had praise for two other Democrats who lost elections for higher office this year and now could potentially look to run in 2020 — Andrew Gillum, who ran for governor in Florida, and Stacey Abrams, who ran for governor in Georgia. Patrick said he has already spoken with two of the three in the last week. Now that he’s officially not running, Patrick could serve as a power broker at the outset of the 2020 primary campaign. A longtime friend of Barack Obama, Patrick was considered to be a favorite possible candidate of the former president’s inner circle and now could help build relationships between that camp of high-level Democratic operatives and new presidential candidates. His exit from the primary seems to now cement his status as one of the party’s elder statespeople whom younger Democrats can lean on for advice and guidance. Patrick said he “loves the fact” the primary will be highly competitive, and has already begun to field calls from potential candidates who want to get together to pick his brain and share ideas. “It’s funny. I suddenly feel like I’m everybody’s friend,” a relaxed Patrick said during a lighter moment in a 45-minute interview. 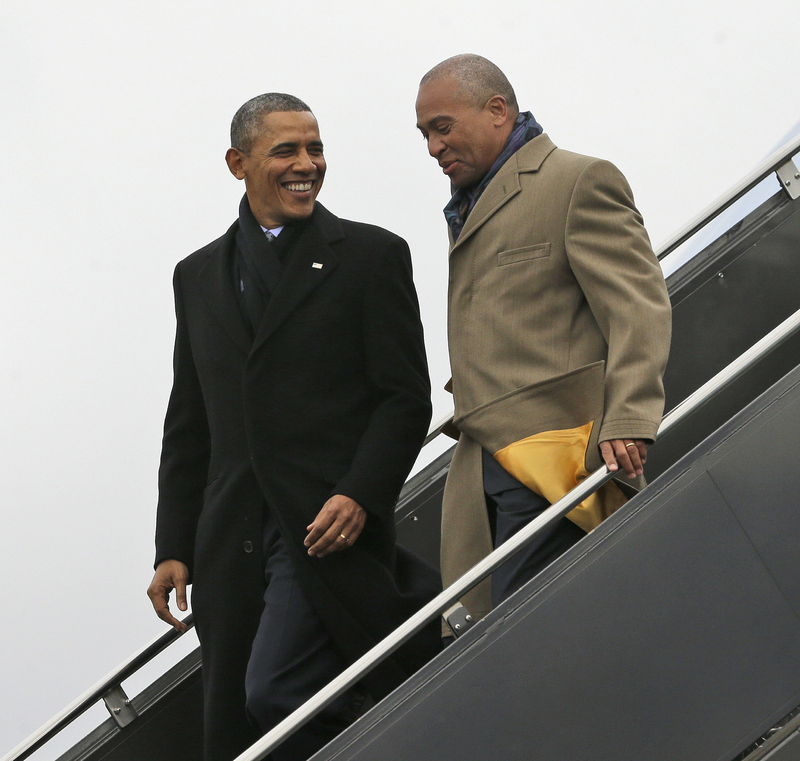 Barack Obama leaving Air Force One with Patrick, March 5, 2014. Patrick spent time with O’Rourke and his campaign during the race. He told BuzzFeed News back in October that his invite from the O’Rourke campaign in Texas (where he also campaigned for Colin Allred, the former NFL player who unseated Dallas Rep. Pete Sessions) happened a bit before O’Rourke became a viral sensation. Now, thrown into the chaos of determining who to keep their eye on for 2020, Patrick aides are curious about how enthusiasm for O’Rourke might play nationally. In spotlighting O’Rourke’s humility, Patrick seemed to suggest the path to reviving political discourse at the political moment marked by division is to put leaders out front who listen and who can disagree without giving in to partisan bitterness. “When we’re dealing with some of our big social and cultural challenges our leaders need to be able to listen and be educated in the way Louis Pasteur described it, which is learning to listen to anything without losing your temper or your self-confidence,” he said. Patrick told BuzzFeed News he still wants to do what he can to help all of the Democratic candidates seeking the party’s presidential nomination in 2020, and gave a broad assessment of a field he thought he would join and what candidates are up against. Patrick said he also heard from another 2020 hopeful and friend, Elizabeth Warren. 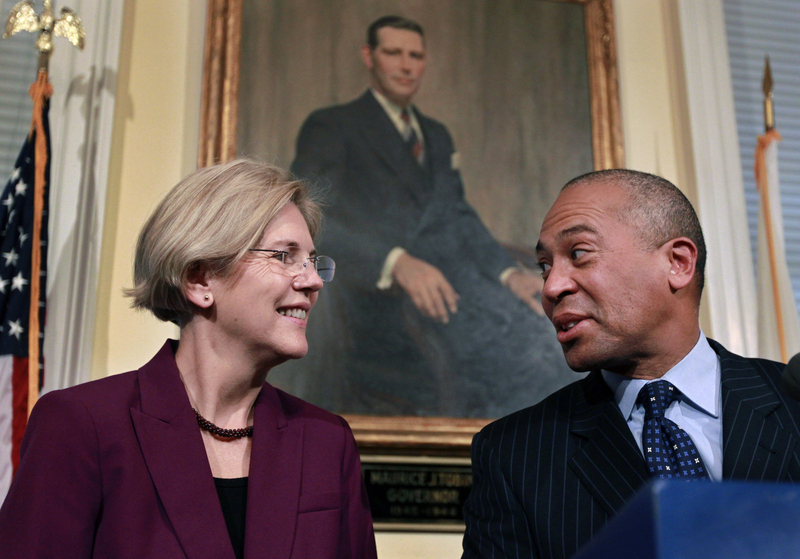 Warren with Patrick at a news conference at the Statehouse in Boston, Thursday, Nov. 8, 2012. Patrick said the rapid pace of societal and economic change, paired with the challenges facing America abroad, calls for leaders who will stand up against fear. It’s these sorts of comments that offer a glimpse at what Patrick’s candidacy might have looked like: big on optimism and kindness, and calling on Americans to live up to a patriotic duty to collectively cast out forces that led to Trump’s election — without talking all that much about Trump. Whoever fights that way wins, Patrick thinks. Patrick said he had no opinion on whether Republicans should primary Trump. “I have friends in the Republican Party who are prominent former officials, names you know, who say watch what [Trump] does, not what he says. It’s one of the most disappointing things I’ve heard, but it doesn’t surprise me because in a way the president is right on trend. He in many respects says out loud what the party has been saying in code for a very long time, and he is delivering on some of their agenda. It turns out that in the bright light of day it is just as harsh when enacted as it was when presented in softer tones and it’s just as hurtful. So when are we on our side going to stop trying to adjust to that? When are we going to call that what it is and offer an alternative? Patrick’s learned not to live with regret. So he won’t be waking up some day in June, wishing he’d run or itching with something to say. For now, he’s game to make sure there’s a good, clean fight.